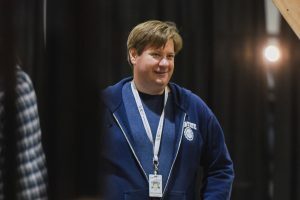 About 50 volunteers and approximately $52 million worth of equipment and resources arrived at the Kay Bailey Hutchison Convention Center mid-October to start building SCinet. Volunteers unpacked, inventoried, installed, configured, and tested all equipment and prepared to move the equipment racks into the Convention Center – with a value of over $52 million (USD). 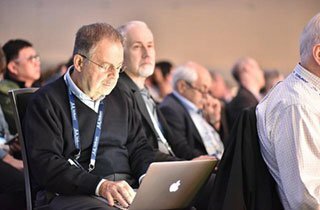 A record-breaking 4.02 Tbps of network bandwidth will deliver unparalleled capacity to the attendees and demonstrations of SC18 this week. SCinet – SC’s dedicated high-capacity network – has a reputation for pushing the boundaries of high performance networking. And it all comes down to this: when networking limitations are removed from the equation, what’s possible in the realm of scientific discovery? 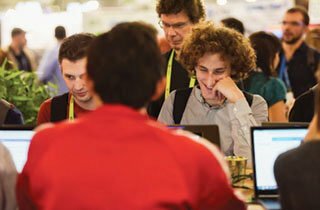 Among those will be more than 30 network research demonstrations and experiments, some of which will be showcased in the conference’s Innovating the Network for Data-Intensive Science workshop on November 11. In support of those activities, SCinet will connect SC18 in Dallas to 27 cities in the U.S. and around the world, its reach stretching across four continents to research labs and universities as far as Amsterdam, Daejeon, Mumbai, and Sao Paulo. 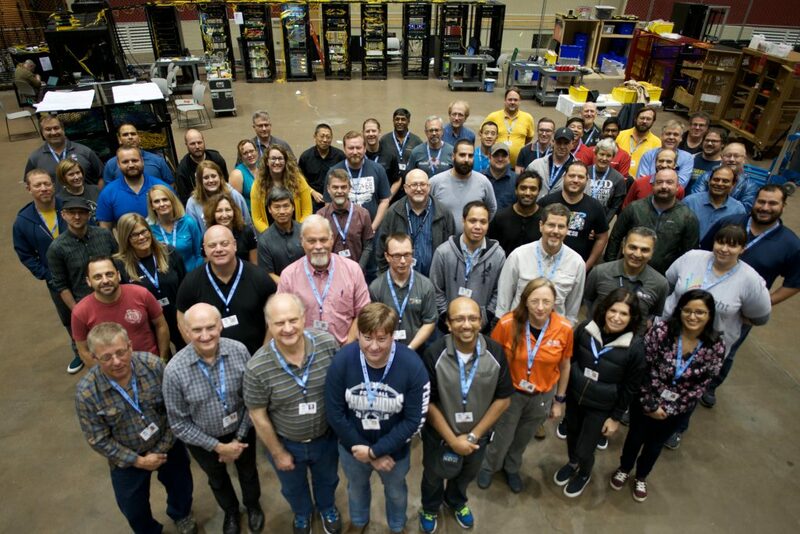 SCinet volunteers arrived in Dallas mid-October to start building the network and returned last week to complete the final installation, which took more than a year to plan. Evidence of this volunteer-built, multi-contributor collaboration exists throughout the Kay Bailey Hutchison Convention Center Dallas. Attendees can see SCinet on display (booth #2450) when the conference exhibit hall opens November 12th. A stage surrounded by plexiglass houses nine equipment racks, weighing in at more than 6,400 lbs. That’s a major portion of the $52 million in cutting-edge equipment and resources provided by 40 SCinet contributors. Overhead and underfoot are 67 miles of fiber optic cable, including just over 2 miles of new underground fiber that now connects the convention center to a downtown Dallas data center (watch this video to see the installation in action*). 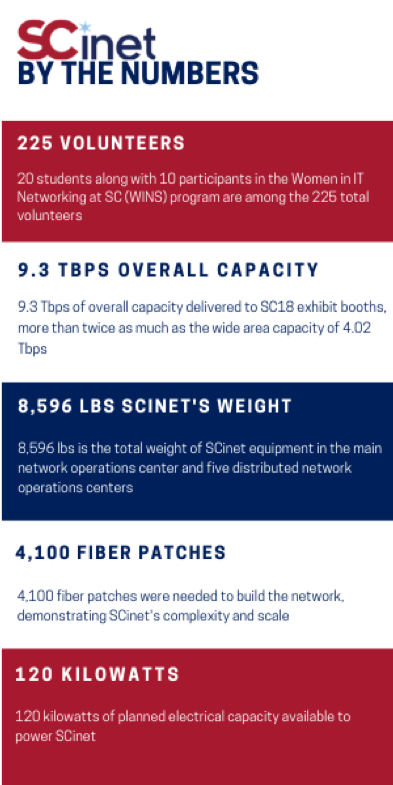 Across 1 million square feet are 300 wireless access points, which SCinet volunteers installed just last week to ensure attendees stay connected wherever they roam during SC. *The video reflects anticipated numbers available at the time it was created. 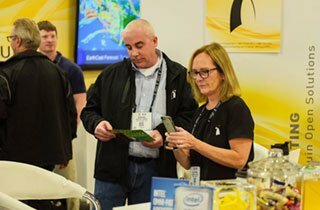 SC18 is the premier international conference showcasing the many ways high performance computing, networking, storage, and analysis lead to advances in scientific discovery, research, education, and commerce. The annual event, created and sponsored by the IEEE Computer Society and ACM (Association for Computing Machinery), attracts thousands of HPC professionals and educators from around the globe to participate in its complete technical education program, workshops, tutorials, a world-class exhibit area, demonstrations, and the world’s fastest temporary computer network.